Update In Skilled Occupations List. Home > CECA > Update In Skilled Occupations List. 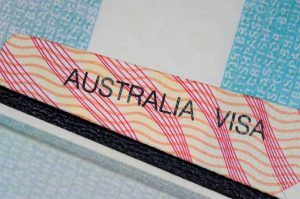 Following the release of a new and updated occupations list for the Australian skilled visa by Department of Home Affairs, South Australia has updated its Skilled Occupations List. The state that needs migrants has reviewed and updated its skilled occupations list. South Australia Premier Steven Marshall earlier this year urged Prime Minister Scott Morrison to allow more skilled young migrants to enter the country to help regional areas. Following the release of a new and updated occupations list for the federal skilled visa by Department of Home Affairs, South Australia has updated its Skilled Occupations List. South Australia has added three occupations to their State Nominated Occupation List (SNOL) and 32 occupations to the Supplementary Skilled List (SSL). “The Commonwealth Department of Home Affairs announced changes on the 11 March 2019 (with immediate effect) to the combined list of eligible skilled occupations. “As a result of these changes, Immigration SA has reviewed the State Nominated Occupation List (SNOL) and Supplementary Skilled List (SSL),” SA Immigration said. Three occupations – Statistician, Multimedia Specialist and Software and Application Programmers nec have been added to the SNOL. The state has also removed five occupations from the list, following their removal from the combined list of eligible skilled occupations.